From Food to Arts & Crafts, the Bayview Underground Food Scene is here to bring the community together through our shared interests and amazing skills…. 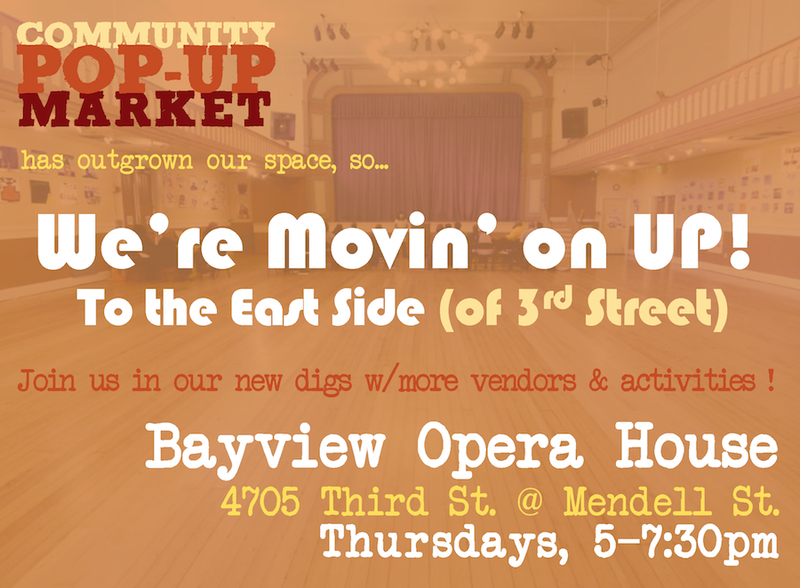 A New Bayview Underground Market! 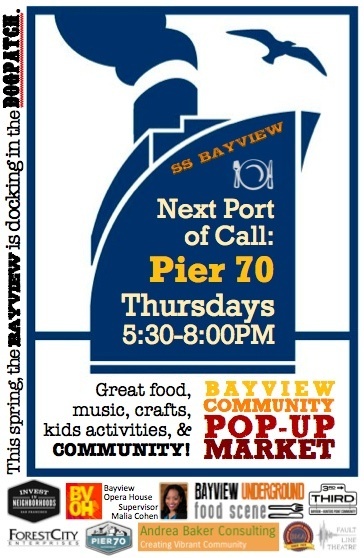 The third cycle of the Bayview Underground Community Pop-Up Market will begin April 10th, 2014 from 5:30-8:00pm at Pier 70 (420 22nd Street)! The Pop-Up Market will feature an assortment of different vendors and artisans from the local community! Thank you again everyone for your continued support and participation! Free parking is available. We can’t wait to see you all! LIKE us on Facebook and READ our blog for more information! 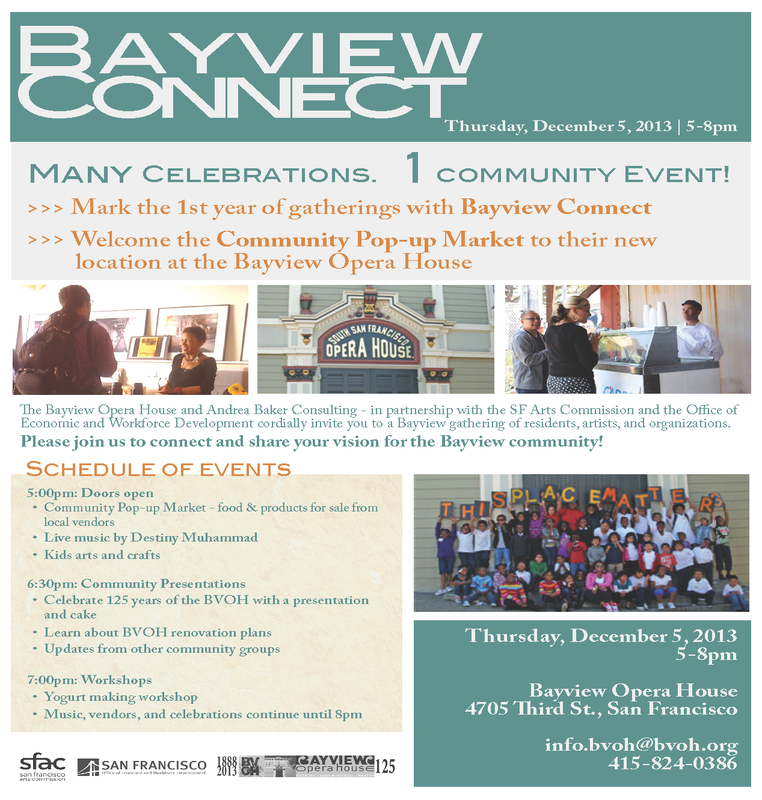 The last community Pop-Up Market of the year will be tonight from 5 to 7:30 pm at the Bayview Opera House, along with the Winter Wonderland holiday extravaganza in nearby Mendel Plaza from 5 to 9pm. 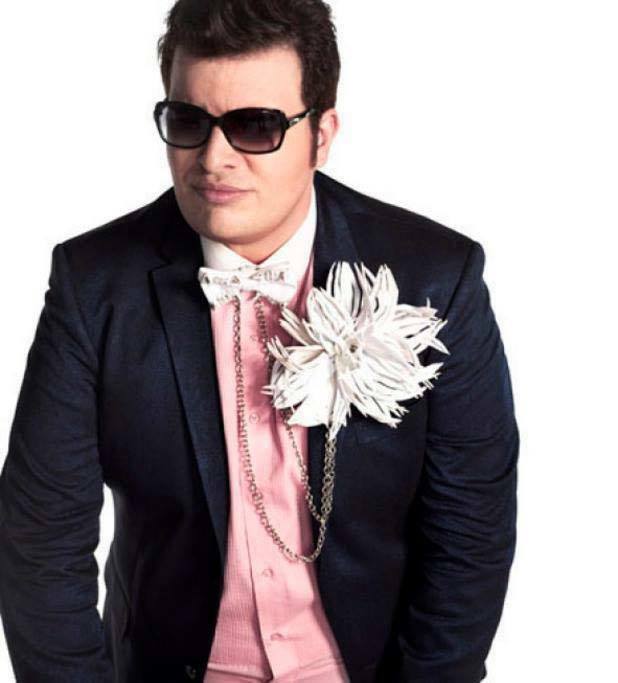 Amongst the many activities and vendors planned for tonight, we will also have a special guest, Jason Brock (!). Come by and check it out. 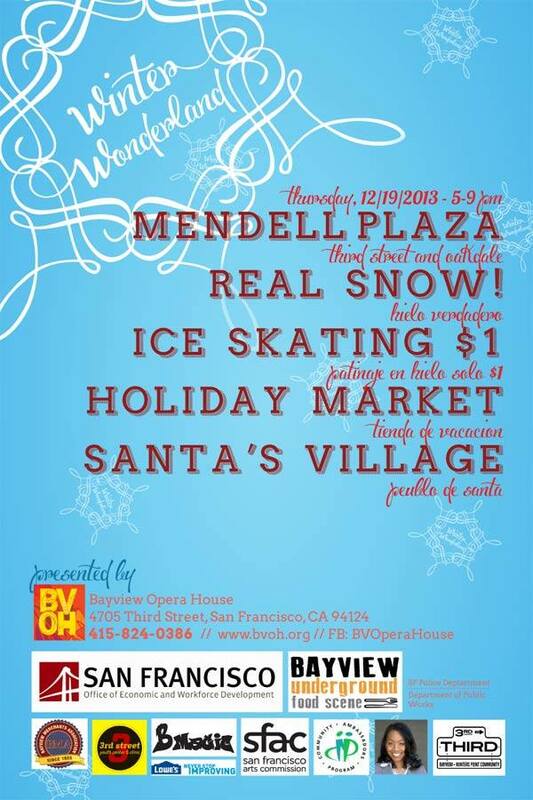 In addition to the weekly Pop-Up Market, there will be a family-friendly holiday spectacular in the nearby Mendell Plaza. Come join us as both free events and enjoy the food, the crafts, the snow (! ), and even more festivities. RSVP on facebook. All Good Pizza and SF Etsy will host the Indie Holiday Emporium on December 14th from 10 am – 3 pm and December 15th from 11 am to 4pm, in the sunny Bayview district. Celebrating the wonderful diversity of one of San Francisco’s most eclectic communities, the event will feature local artists, gourmet food, hot apple cider, San Francisco-made wine and live music. Inspired by the book, “Start with Why – how great leaders inspire everyone to take action” by Simonon Sinek, we’ve decided to share the ideas and motivations behind why our vendors do all that they do. This is why we’ve started the “WHY?” campaign. Learn to make yogurt at our upcoming market. Unburden yourself from the cost of store bought yogurt (and your growing mountain of plastic yogurt containers) by making it yourself! The class will include a demo on making yogurt using live cultures, a discussion of other fermented dairy products (and free starter for kefir), and a pint of homemade yogurt to use as a starter for your first batch. Come and be a part of the fermenting ferver in the Bayview! Join us at the 12/5 Community Pop-Up Market, now on Thursdays at the Bayview Opera House, for the second 94124-focused class aimed at giving Bayview residents the tools to make their own healthy, fermented foods. Come grab some grub and goods this Thursday, November 21st for the Community Pop-Up Market at Market on Third. 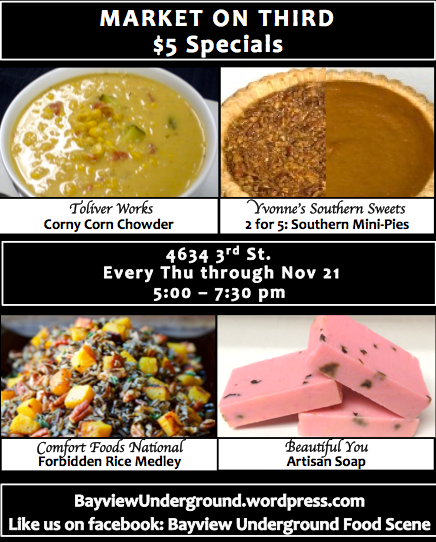 Many of the vendors will also be taking orders for Thanksgiving treats, as well as sampling their latest concoctions. 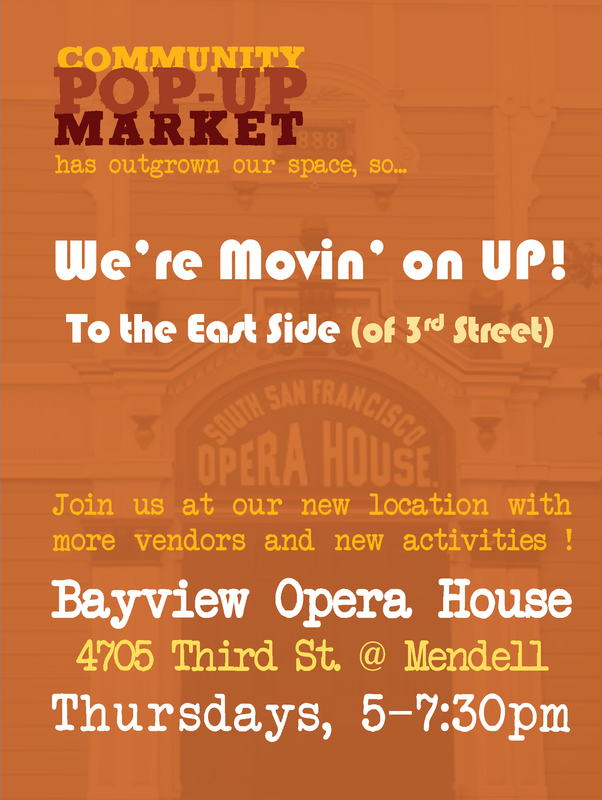 After a week of more turkey (or tofurky) than you can eat, come visit our new spot just a few yards away at the Bayview Opera House starting Dec 4th.